Space: 1999 was the ground breaking sci-fi television series of the mid 1970's where the group of 311 men and women of Moonbase Alpha found themselves hurling through space after an accident blasted the moon out of earth's orbit. It is a tale of survival, as the Alphans, not able to control the course of their wandering moon, encounter strange and often hostile forces in their quest to find a home. JUST IMAGINE.........A continuation of Space:1999 season 1 style: Space:1999 Classic Adventures. 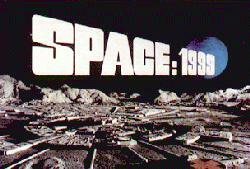 See the continuation of Space:1999 The Classic Adventures into a new season! JOIN US in the continuation of Space:1999 Classic Adventures on Facebook! Space:1999 is copyright of Granada Media Group Ltd. This fan website is designed for entertainment purposes only and is not intended to infringe the rights of Granada.